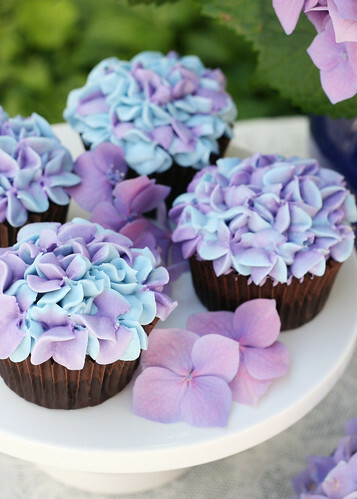 These hydrangea cupcakes are by Glorious Treats - click through for recipes and instructions. 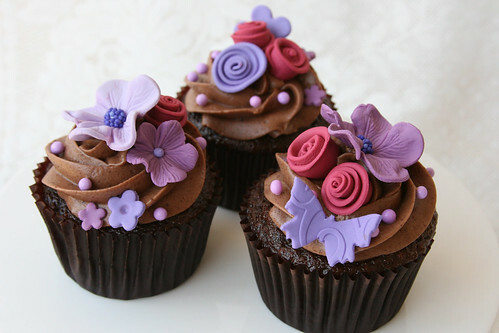 The romantic flower cupcakes below are: "Delicious chocolate cupcakes with rich chocolate frosting, decorated with handmade fondant flowers in shades of purple and red." Via Flickr.